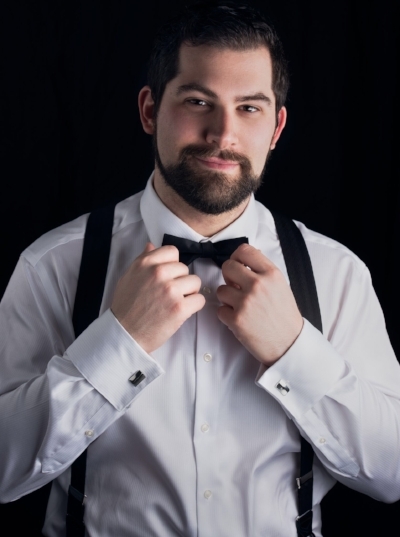 Marco Cammarota is currently in his third year at the Academy of Vocal Arts under the tutelage of William Schuman. During his time at the Academy of Vocal Arts he has sung Prince Sinodal in the rarely performed Russian gem The Demon, Duca di Mantua in Verdi's seminal classic Rigoletto, Luigi in Il Tabarro, and Avito in Italo Montemezzi's masterpiece L'amore dei tre re. Cammarota's natural Italian timbre lends itself well to the great works of Puccini and Verdi though he has sung Nemorino in L'elisir D'amore at Opera Santa Barbara, Don Jose in a special shortened version of Carmen designed for youth audiences at the Kennedy Center with Washington National Opera, and Mitch in A Streetcar Named Desire with the Kentucky opera. He has appeared as B.F. Pinkerton with Arizona Opera where he will return to sing Mario Cavaradossi in Tosca, Macduff with the Glimmerglass Festival in Verdi's Macbeth, Alfredo in La Traviata with the Rochester Philharmonic Orchestra, and Rodolfo in Puccini's La Boheme with the Owensboro and Lafayette symphony orchestras respectively.